Goods logistics Achieved by Regional and local policies) financed by the European Union within the European Territorial Cooperation Programme Interreg IVC (European Regional Development Fund). The event will take place at Emilia-Romagna Region, Aula Magna, Viale Aldo Moro 30, Bologna (Italy), from 09.30 to 13.30. 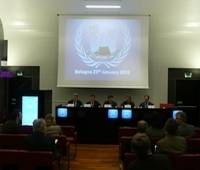 The awarding ceremony of the SUGAR AWARD 2010 was held at the premises of Emilia-Romagna Region in Bologna (Italy) on the 25th January 2010. The event took place within the SUGAR project (Sustainable Urban Goods logistics Achieved by Regional and local policies) financed by the European Union within the European Territorial Cooperation Programme INTERREG IVC (European Regional Development Fund). 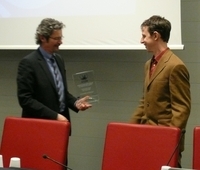 The award in the category of “Metropolitan areas and large cities” was assigned to the Municipality of Rotterdam, while the Municipality of Parma won the prize for “Small and medium sized cities”. 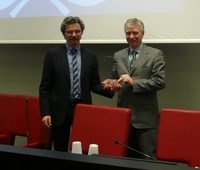 Emilia-Romagna Regional Minister of Transport Alfredo Peri presented both awards. The event also included technical presentations of experts and logistics operators and a high level round table in which all the main Municipalities of Emilia-Romagna discussed the future of public policies for city logistics.